Yet another picture of my Christmas tree on Christmas Day. This is very similar to the previous shot, but in this one I focused on the Golden Apple so you can see the pattern on its surface. 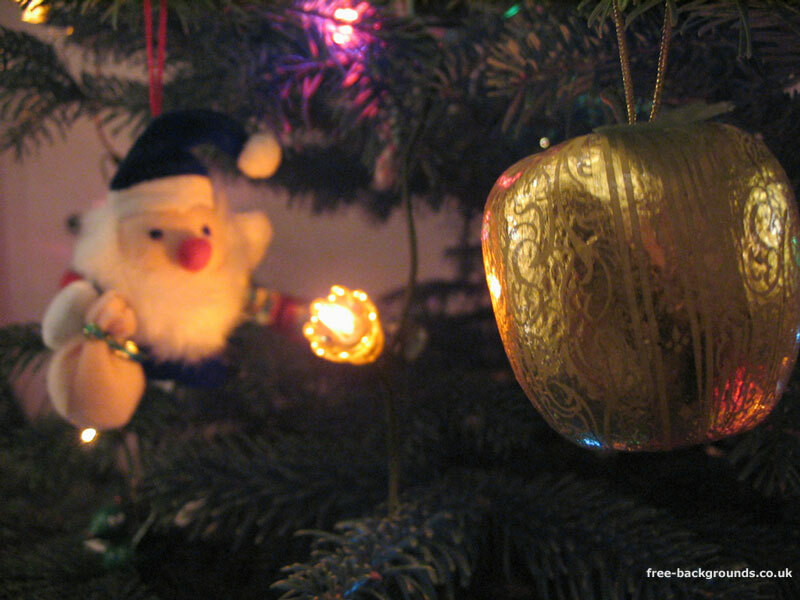 You can see lots of different coloured lights reflected on the apple - and I suspect the dark shape is me and my tripod! In another picture I put Father Christmas in focus.